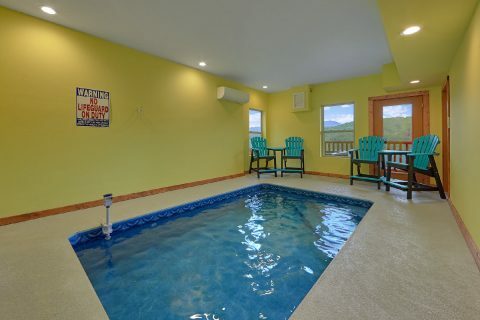 Ready for a Gatlinburg vacation with a private indoor pool? 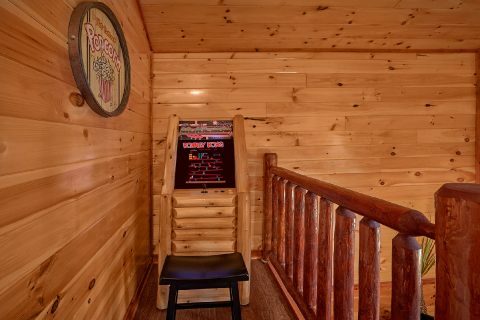 Look no further than "Splash Mountain Lodge!" 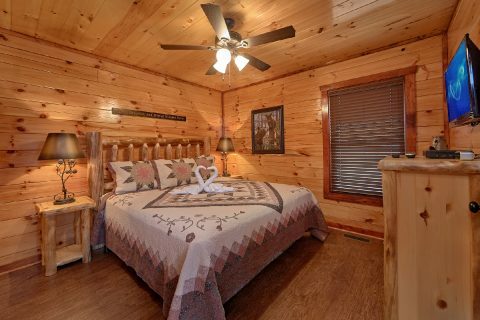 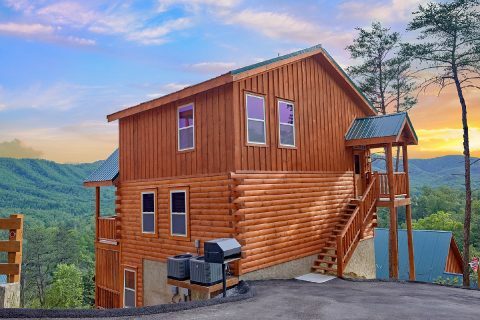 This impressive Pigeon Forge cabin in Sherwood Forest Resort boasts a beautiful mountain view, a prime location near attractions, and a nice indoor pool for swimming year-round! 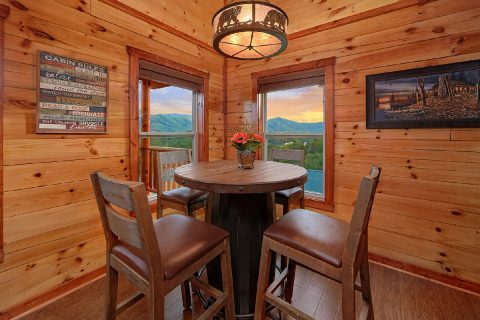 Step inside the main level of this rental and you'll find a comfortable living area that's ideal for spending time with good company. 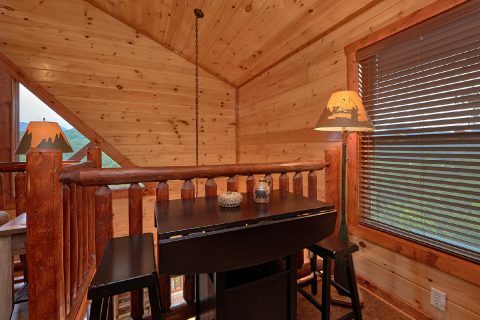 The gas fireplace adds a warm glow to the room and there are large picture windows to let in natural light. 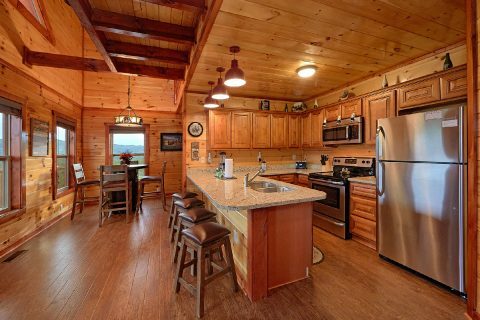 Nearby, your cabin's stylish kitchen with a breakfast bar has everything needed to make great meals during your stay. 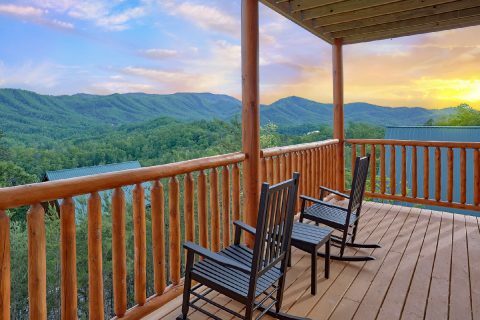 From here, you can step outside onto your cabin's deck to enjoy the picturesque Smoky Mountain view. 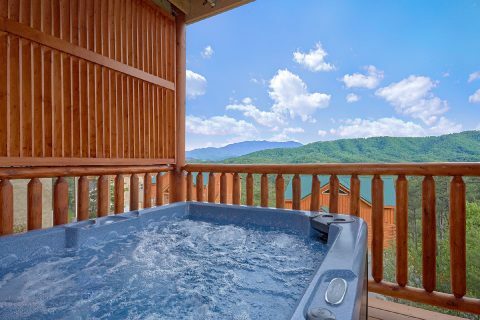 The covered deck also comes complete with a hot tub, so you can enjoy a relaxing soak while you take in the gorgeous scenery. 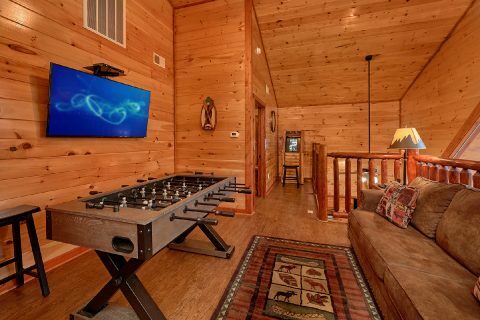 For some in-cabin entertainment, this rental comes complete with a pool table, foosball table, and an arcade game. 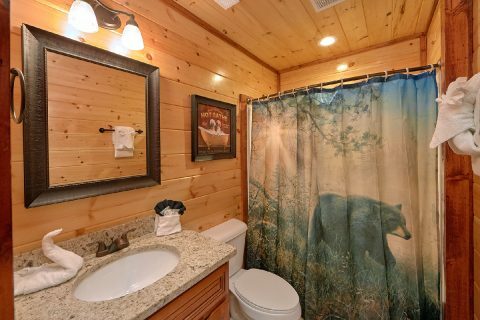 While your cabin features a private pool and a hot tub, there's also a jacuzzi tub for enjoying a soothing dip in privacy. 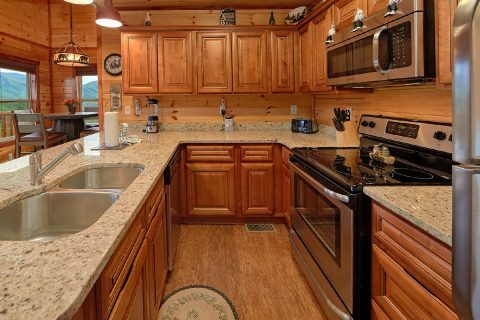 Lastly, this rental provides useful features like a charcoal grill, washer & dryer, and Wireless Internet access for guests to use during their stay. 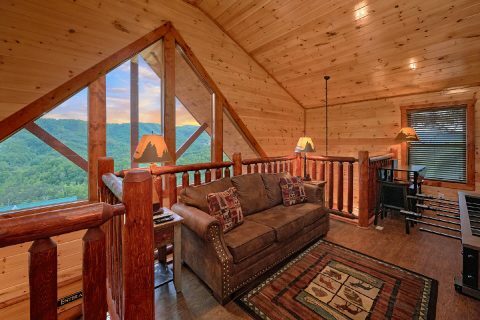 With room for up to 8 guests and 2 bedrooms, this rental is just the right size for a family vacation or a weekend in the mountains with friends. 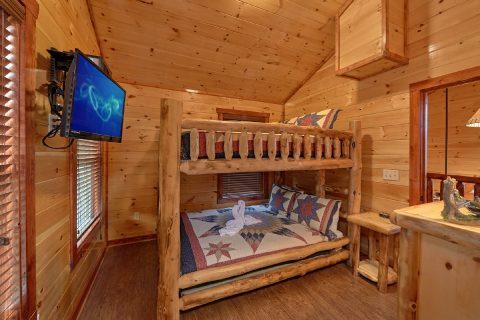 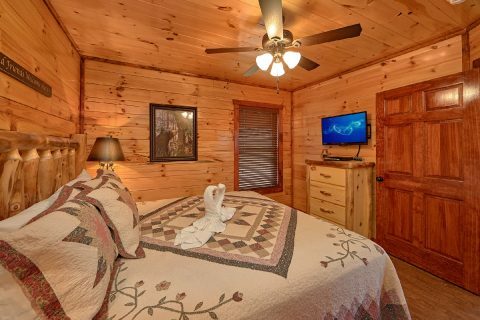 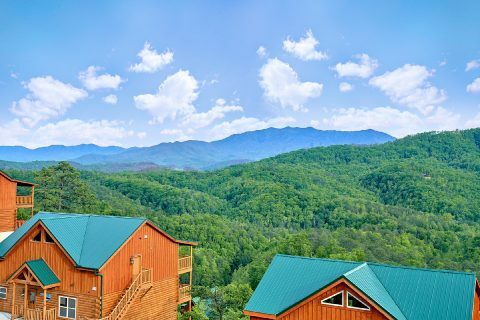 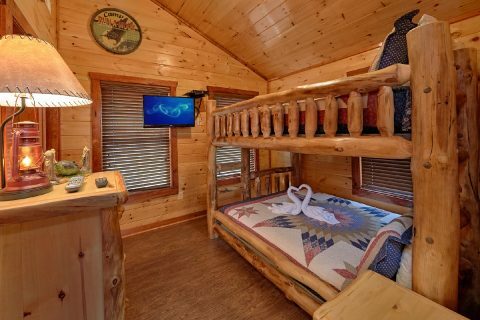 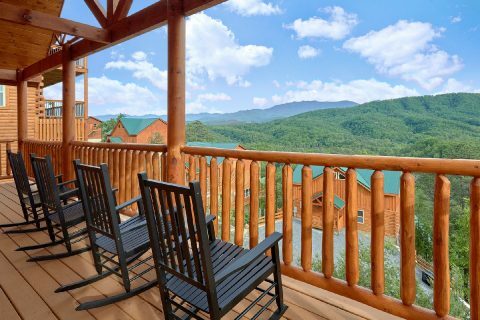 With a great location that's less than 3 miles from Pigeon Forge, this cabin keeps guests close to top local attractions like Dollywood, Downtown Gatlinburg, and the Great Smoky Mountains National Park! 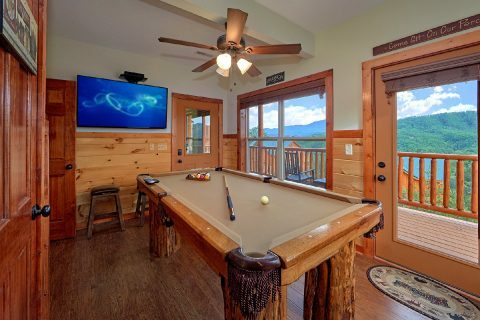 Reserve your luxury 2 bedroom cabin with a pool today with Cabins USA Gatlinburg to save 15% on your lodging costs!